The infographic below represents more of a marketing ploy for Ford than it does an educational piece, but it is interesting nonetheless. 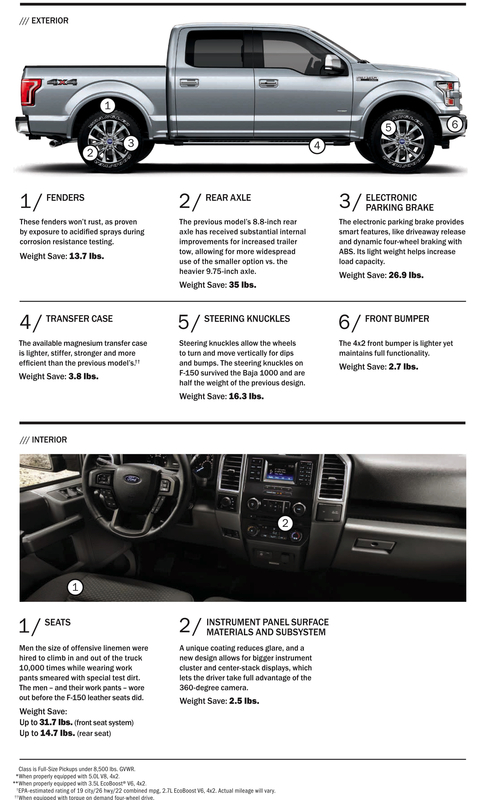 Ever since announcing the new F-150 would feature an aluminum body, the company has bragged about the truck’s new found lightness. The funny thing about this infographic you’ll notice however is, it encompasses all the weight lost UNDER the aluminum body.